Reverse Polarity SMA connectors are popularly used for wireless router connection. Reverse-Polarity SMA-Plug Crimp Connector for Cable Types: WBC195, LMR195, Altelic on CA-195, RG58 Electrical specification: Impedance: 50 Ohms Frequency Range: DC - 11 GHz Voltage Rating: 500 Volts Peak Dielectic Withstanding Voltage: 1000 Volts RMS Insertion Loss: 0.20 dB Max. Reversed polar SMA plug, special for wireless router application. Reverse-Polarity SMA-Plug Crimp Connector for Cable Types: WBC240, LMR240, Altelicon CA-240, Electrical specification: Impedance: 50 Ohms Frequency Range: DC - 11 GHz Voltage Rating: 500 Volts Peak Dielectic Withstanding Voltage: 1000 Volts RMS Insertion Loss: 0.20 dB Max. Reversed polar SMA plug, special for wireless router application. Reverse-Polarity SMA-Plug Crimp Connector for Cable Types: WBC400, LMR400, Altelicon CA-400, Electrical specification: Impedance: 50 Ohms Frequency Range: DC -7.5 GHz Voltage Rating: 500 Volts Peak Dielectic Withstanding Voltage: 1000 Volts RMS Insertion Loss: 0.20 dB Max. Reversed polar SMA plug, special for wireless router application. Reverse-Polarity SMA Socket Crimp Connector for Cable Types: WBC240, LMR240, Altelicon CA-240, Electrical specification: Impedance: 50 Ohms Frequency Range: DC - 11 GHz Voltage Rating: 500 Volts Peak Dielectic Withstanding Voltage: 1000 Volts RMS Insertion Loss: 0.20 dB Max. Reversed polar SMA Socket, special for wireless router application. 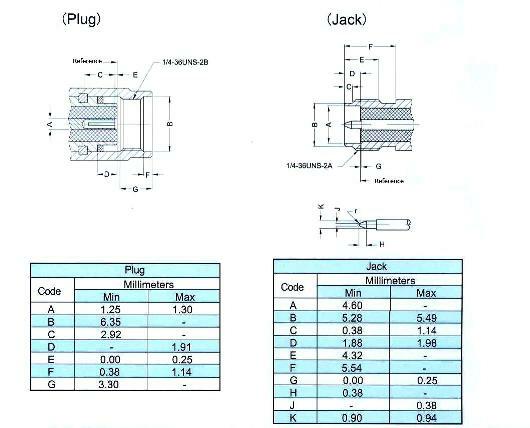 Reverse-Polarity SMA Socket Crimp Connector for Cable Types: LMR100, Altelicon CA-100, RG174, RG316 Electrical specification: Impedance: 50 Ohms Frequency Range: DC - 11 GHz Voltage Rating: 500 Volts Peak Dielectic Withstanding Voltage: 1000 Volts RMS Insertion Loss: 0.20 dB Max. Reversed polar SMA Socket, special for wireless router application. Reverse-Polarity SMA Plug for semi rigid cable RG405 Electrical specification: Impedance: 50 Ohms Frequency Range: DC - 11 GHz Voltage Rating: 500 Volts Peak Dielectic Withstanding Voltage: 1000 Volts RMS Insertion Loss: 0.20 dB Max. Reversed polar SMA Socket, special for wireless router application.